The next Tuesday is set to be Microsoft’s monthly patch fixing day and this time the company will be releasing a record 49 fixes to vulnerabilities affecting Windows, Internet Explorer, Office, and the .NET framework. The holes include 16 security bulletins, out of which 4 are “critical”, 10 are “important” and 2 are “moderate” according to advisory ratings. 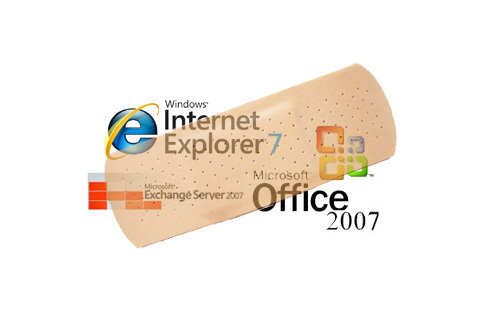 The vulnerabilities specifically affect Windows XP, Vista, Windows 7, Windows Server 2003 and 2008, MS Office XP Service Pack 3, Office 2003 Service Pack 3, Office 2007 Service Pack 2, Office 2010, Office 2004 for Mac and 2008 for Mac, Windows SharePoint Services 3.0, SharePoint Server 2007, Groove Server 2010, and Office Web Apps. Microsoft did not indicate whether two un patched Windows holes that are being exploited by the Stuxnet worm will be fixed next week. Stuxnet spreads through the Windows vulnerabilities but was designed to target industrial control and critical infrastructure systems running Siemens software. This is the highest number of vulnerabilities fixed in one Patch Tuesday release; the previous record was 34 holes fixed in August. Microsoft promises to improve software security and build PCs and software that are less vulnerable to malicious attacks. They also plan to educate users more about PC security and installing required anti virus, firewalls and anti malware. Next post: iTunes Subscription Service, Rumour Or Real?